The FMEA Corner is a recurring feature in ReliaSoft's Reliability HotWire eMagazine that is authored by Carl S. Carlson, a noted expert in the field of FMEAs and facilitation. In each monthly issue, Carl addresses a different FMEA theme (based on his book Effective FMEAs) and also answers your questions. As part of ReliaSoft's continuing commitment to empowering the reliability engineer, FMEA Corner aims to communicate and promote best practice analysis methods so that more organizations can experience the benefits of implementing truly effective FMEAs. Please submit your feedback and questions today to Carl.Carlson@EffectiveFMEAs.com to find out something you have always wanted to know about FMEAs. FMEA Corner: Is there a better way than RPN? FMEA Corner: What is Unique About a System FMEA? FMEA Corner: Can You Anticipate Everything? 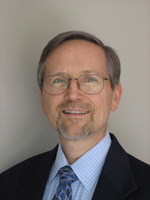 Carl S. Carlson is a consultant and instructor in the areas of FMEA, reliability program planning and other reliability engineering disciplines. He has 35 years of experience in reliability testing, engineering and management positions, and is currently supporting clients from a wide variety of industries, including clients of HBM Prenscia. Previously, he worked at General Motors, most recently senior manager for the Advanced Reliability Group. His responsibilities included FMEAs for North American operations, developing and implementing advanced reliability methods and managing teams of reliability engineers. Previous to General Motors, he worked as a Research and Development Engineer for Litton Systems, Inertial Navigation Division. Mr. Carlson co-chaired the cross-industry team that developed the commercial FMEA standard (SAE J1739, 2002 version), participated in the development of SAE JA 1000/1 Reliability Program Standard Implementation Guide, served for five years as Vice Chair for the SAE's G-11 Reliability Division and was a four-year member of the Reliability and Maintainability Symposium (RAMS) Advisory Board. He holds a B.S. in Mechanical Engineering from the University of Michigan and completed the 2-course Reliability Engineering sequence from the University of Maryland's Masters in Reliability Engineering program. He is a Senior Member of ASQ and a Certified Reliability Engineer. Selected material for FMEA Corner articles is excerpted from the book Effective FMEAs, published by John Wiley & Sons, ©2012. Information about the book Effective FMEAs, along with useful FMEA aids, links and checklists can be found on www.effectivefmeas.com. Carl Carlson can be reached at carl.carlson@effectivefmeas.com.